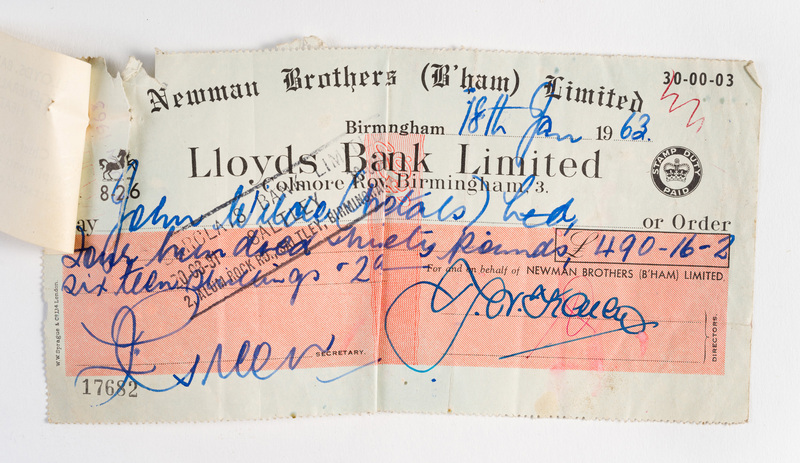 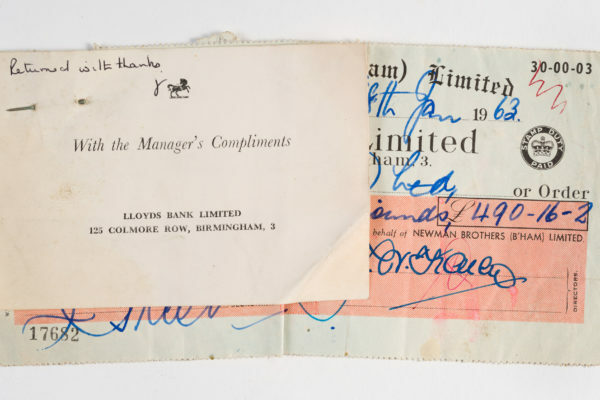 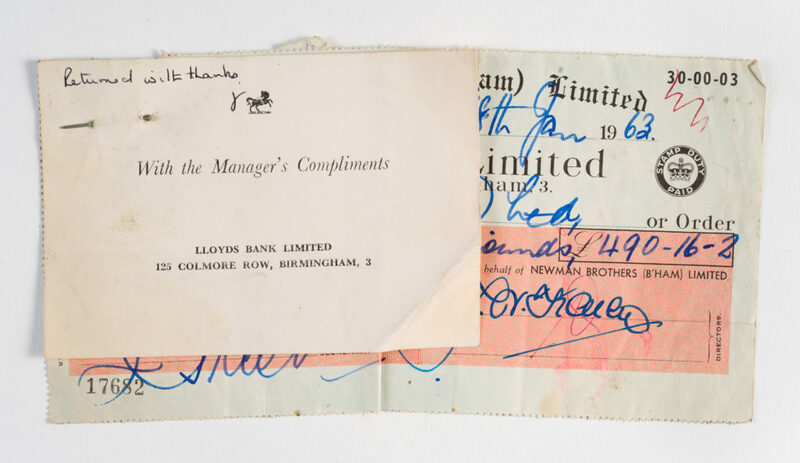 Newman Brothers had their own personal cheques printed from the 1960s onwards. 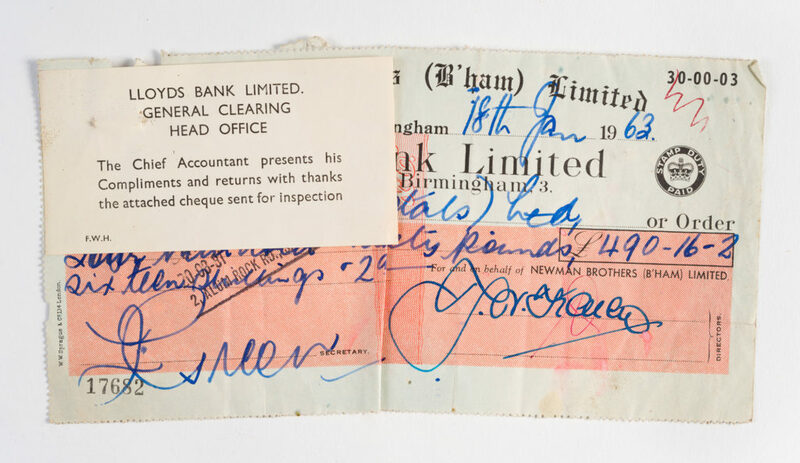 This one was signed by Joyce Green, who was Financial Director and Company Secretary in 1963. 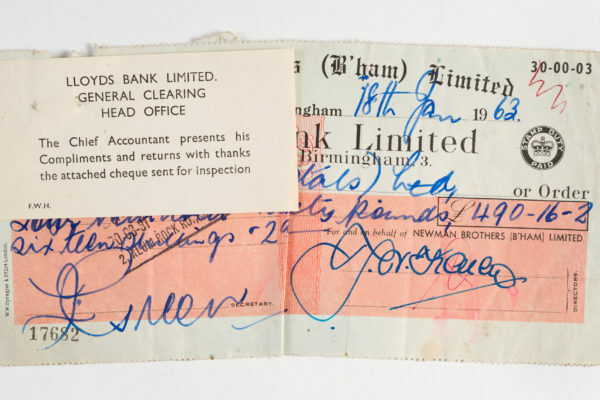 It is addressed to John Wilde Metals Ltd (who are still in business). 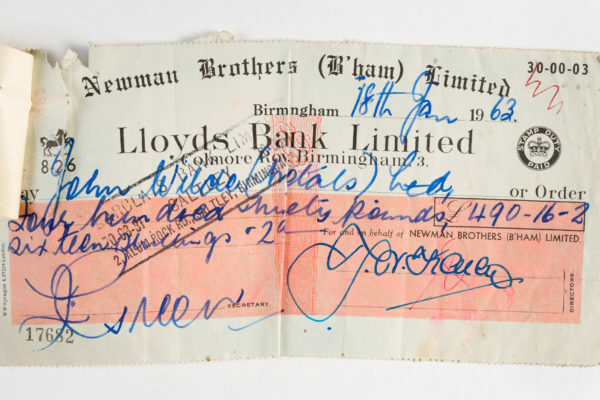 As well as John Wilde buying products from Newman Brothers, Newman Brothers had a good relationship with Wildes and bought die-cast products from them.